You know how detectives create detailed profiles about their usual suspects before they charge them with some crime? Well, some travellers do the same for their potential destinations but for a much nicer purpose; they are the private investigators of their next big escape! So, how thoroughly do you screen the evidence and data available before booking your vacation or honeymoon destination? The brochures from hotels, exotic countries and travel agencies are great, but me, I can’t help but feel that a part of the truth will never make it in those perfect looking photographs. Do I need to comment on the reliability of travel magazines? It is a common secret that nine times out of ten (if not ten out of ten) travel editors recommend the countries / hotels advertised in the exact same issue that features their article about how magnificent the x country / hotel is! In several cases those journalists have never visited the country/hotel they are reviewing. Recommendations from friends and family are naturally a good source of information, but can you really trust the taste of someone else? Most of the time, we don’t even like the same movies. Therefore, if you ask me, their recommendations are a good place to begin with, but not the ultimate criterion -at least not before you test and cross examine every “testimony”. Don’t get me wrong, though, I am not suggesting that you should rely on the reviews posted online. How could I? A simple research through the web is all you need to realise that there are dozens of aweful reviews for some of the best places on earth -and incredible praise for places that you wish you had never visited. I can imagine how confused you must be by now. So what am I suggesting? Toss a coin? No. To the contrary. My point is, that at the end of the day, it all comes down to doing your homework. If you don’t, you might get lucky, but the question is: are you ready to leave your annual or lifetime opportunity to enjoy a memorable experience to chance? Take it from an obsessive traveller. This is a tough job but it is you that has to do it. Don’t worry, your efforts will pay back. So keep listening (to me and to all the others) and keep questioning /filtering every single sentence you read! Now that we clarified that, you understand why I strongly suggest that you set some priorities. And the first thing you should do is try to find some objective travel bloggers who have written about the place you wish to visit. The point is: how can you distinguish a sincere review from one paid for? Well, that is not the easiest task in the world. Roughly I would say that one really objective review should include pros and cons and be moderate both in its positive and negative comments. But even then, you are not done. When you reach a conclusion about the objectivity of your source, you should still cross examine! It is time consuming, I know, yet in most cases you will be able to tell a good lie from even a badly said truth! For instance, take me -I am obviously a biassed blogger. I admit it. I won’t even try to hide it. It is true: I will tell you (I am telling you right now) that Paros is the best island in Greece by far and that Yria Resort is your top choice if you are visiting anytime between May and mid October. However, (and now I highly recommend extra attention), Yria Resort is NOT an ideal choice for all. 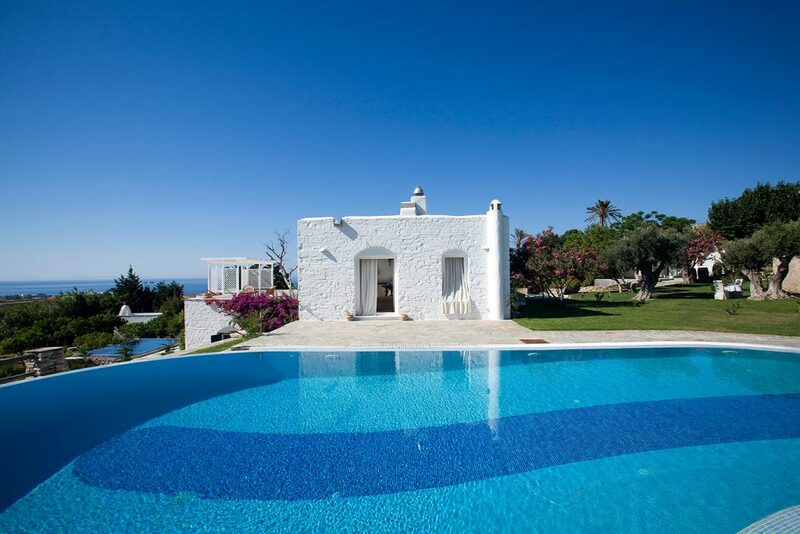 If you look for a cheap elementary place to spend the nights during your visit, you should really opt for one of the small rooms to let that all Greek islands have in abundance. If, on the other hand, you crave seven star extravaganzza with butlers and servants all around, you should altogether give up on Paros and check the flights to Dubai. Personally, I wouldn’t prefer an extravagant hotel even if I could afford paying 35,000 euros per night (yes this is an actual price for a presidential suite at the world’s most expensive hotel). But that’s just me. I appreciate the discreet luxury of a secluded beach or a noisy party at an island pub. You might find all this terribly banal and you would be right. Afterall, you are taking …yourself on vacation, not me! To help you in that direction, I did the opposite for you. I profiled the types of traveller that would enjoy Paros and our resort. If you see yourself there, you would probably have a good time with us. Check it out and proceed with caution! So, your attention please! a. Singles travelling solo or in small groups of friends who feel adventurous, love action and are anxious to have fun. These young and restless men and women might enjoy water sports and/or sunbathing on the sandy beaches, they might party all night, dine in picturesque fish taverns and in between relax by the resort’s pool sipping delicious cocktails. In the morning they will meet up in the garden for breakfast and roughly plan what comes next. Freedom is the keyword here! b. Enamored couples and honeymooners who appreciate privacy and the luxury of some extra pampering. Romantic candle light dinners at the resort’s restaurant will be the perfect way to end a lovely day exploring the island’s beaches and the enchanting alleys around the gorgeous picturesque villages. The X-Factor for these travellers is a blend of seclusion and romance. c. Families who want some quality time with their kids while being a stone’s throw from the beach. Parents can relax while the kids play by the sea or enjoy a rejuvenating and relaxing massage while their offspings are kept busy in the garden or the pool. Comfort and discreet luxury is of essence now! Of course I realize that you will think that I am biassed. You are right! I am proud of you. But I will defend myself by adding that there are thousands of travellers who prefer the moistier and greener island of the Ionian Sea. Don’t ask me why. They do. There are also many more who would rather spend their vacation on the mainland, avoiding the ferries and planes alltogether. There’s no doubt whatsoever that a Greek island is appealing to certain types of travellers and that’s absolutely fine. You really shouldn’t come to Paros if it is not your style. On the other hand, if the prospect of a few days in Paros sounds intriguing, do your homework. Perhaps you know in advance that life is full of dilemmas. You will be challenged to choose one island over the other. The planet is indeed full of wonderful places. But keep in mind this: the tougher the choices the more compensating they will be. 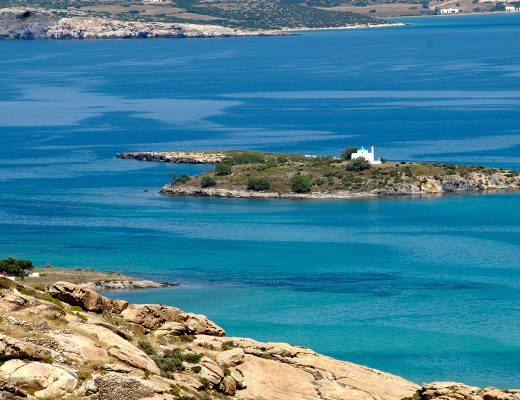 Make yours for this summer and choose Paros! We will be right here, ready to welcome you with a big smile! PS Do not forget that I am a biassed blogger. Don’t listen to me. I just hope I inspired you a little so that you keep investigating. If my truth turns out to be your truth, we might have a drink or two by Yria’s pool exchanging experiences. Or not. Who knows? Until then, be (as we Greeks say to each other) healthy and happy! Cheers.